Chat&Messenger Free Groupware – BusinessChat, Video call, Document, Schedule integrated. IP Messenger compatible. Free Groupware! 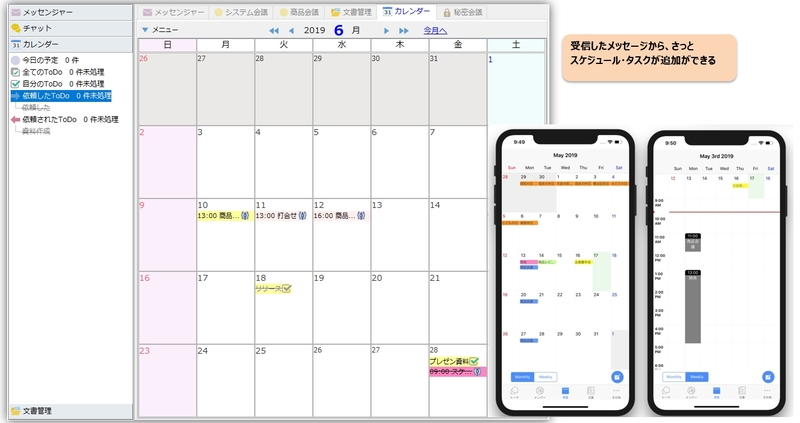 BusinessChat, Video call, Document, Schedule integrated. IP Messenger compatible. Free Groupware! 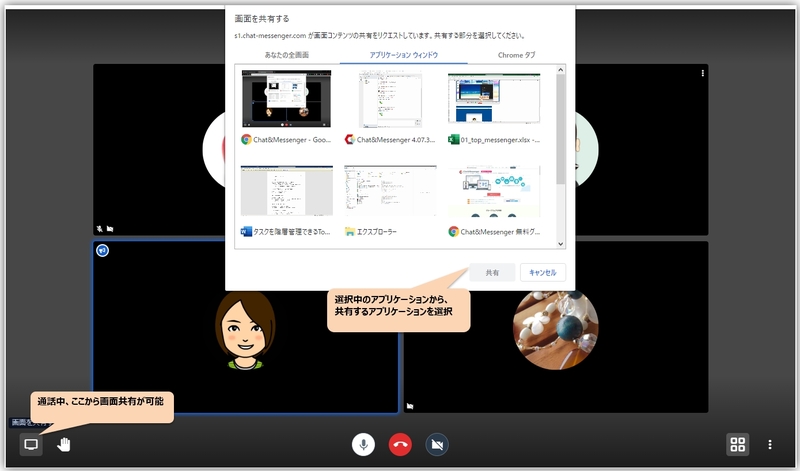 Integrate Business Chat, Video Conference, Document Management, Schedule, Capture, Sticky Notes. Basic functions are available for free. 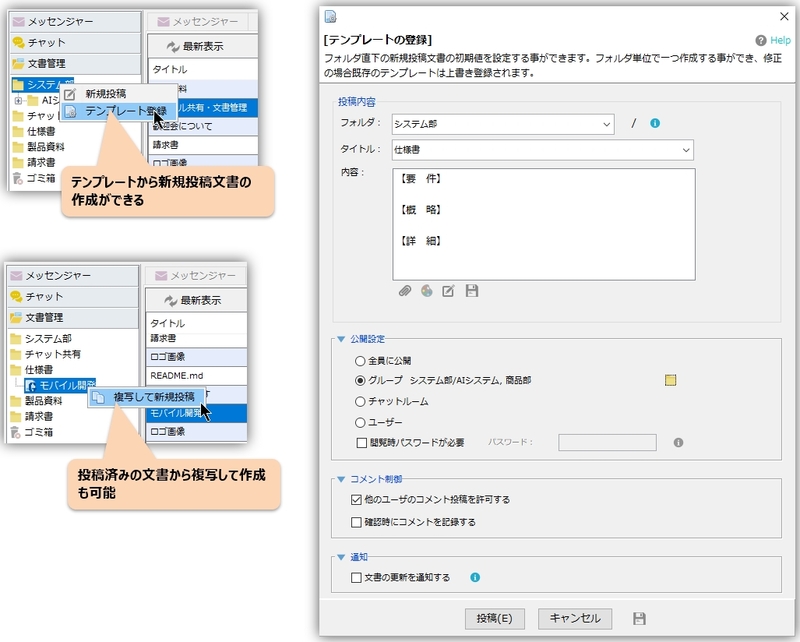 It automatically recognizes LAN users immediately after installation, so no difficult setting at all. 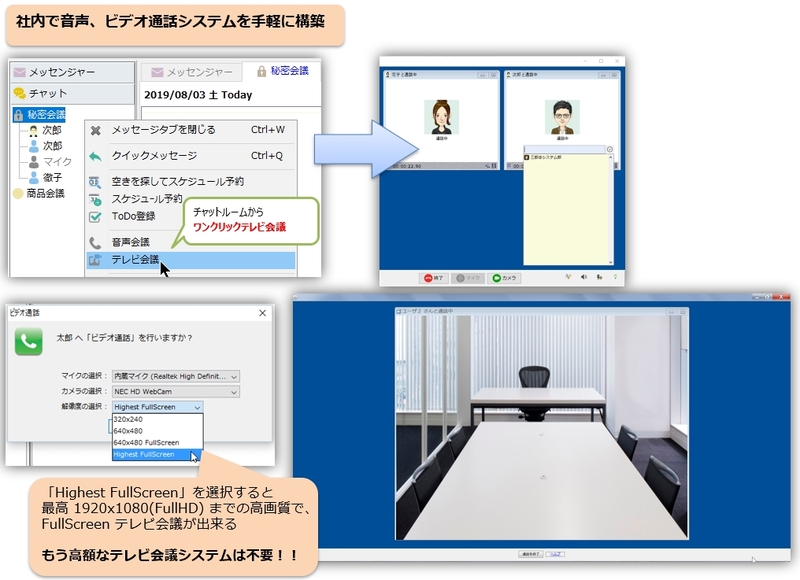 Video call can be used by multiple users, FullHD quality, FullScreen is also supported. TV conference system can be used cheaply. Supports Windows / Mac / Android / iOS. Depending on the policy of each team, Hybrid model that can be used for LAN or Cloud&Mobile. 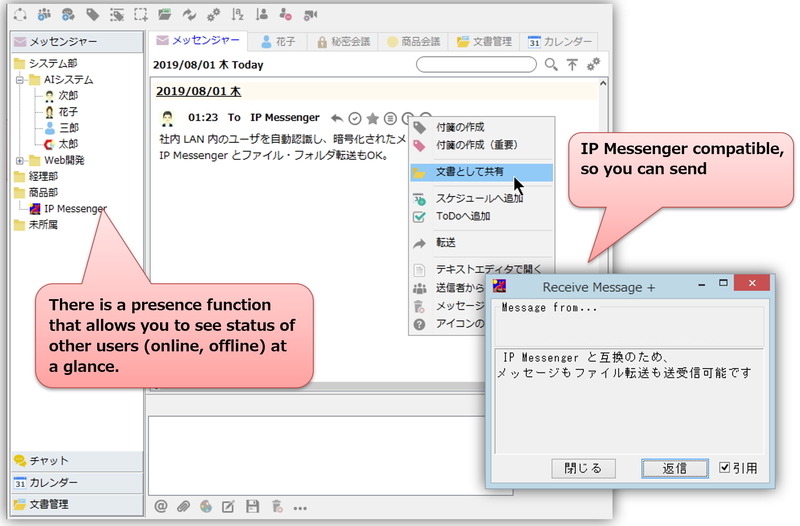 Automatically recognize users in LAN, and can send and receive encrypted messages. File and folder transfer is also OK.
You can quickly reply with the icon, you can register your favorite message and send it quickly. 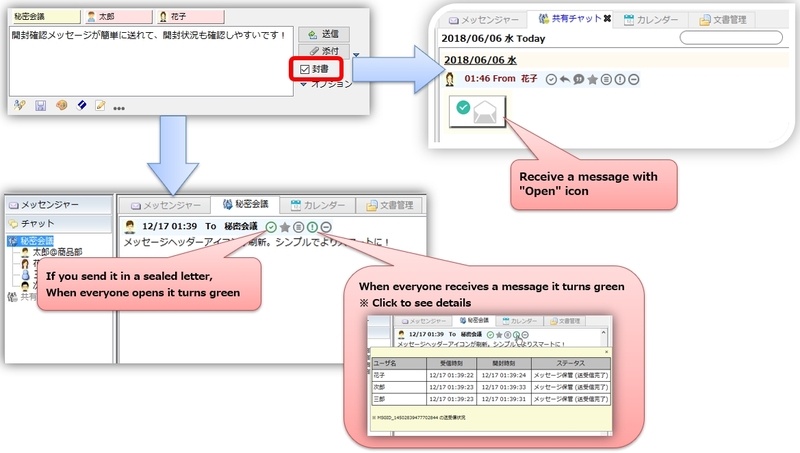 It is easy to send a receipt confirmation message, easy to check the opening status. 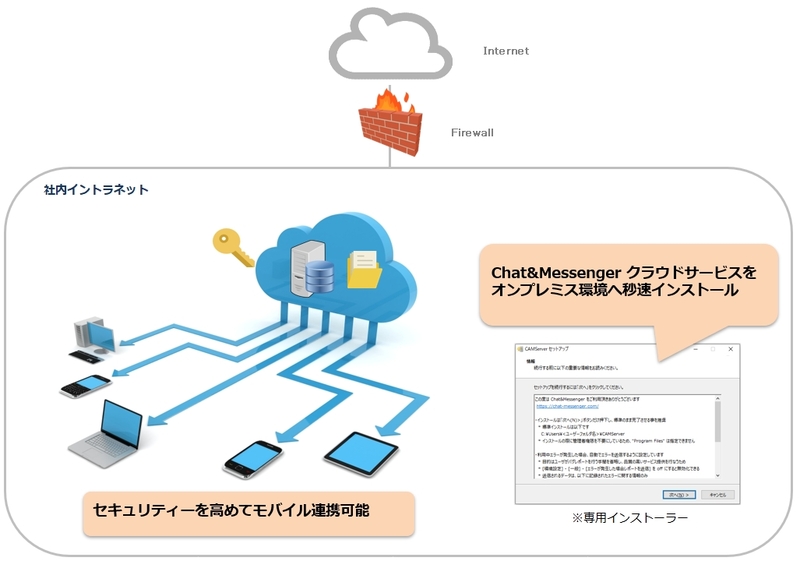 Chat rooms can be created freely within LAN with public and private restrictions. 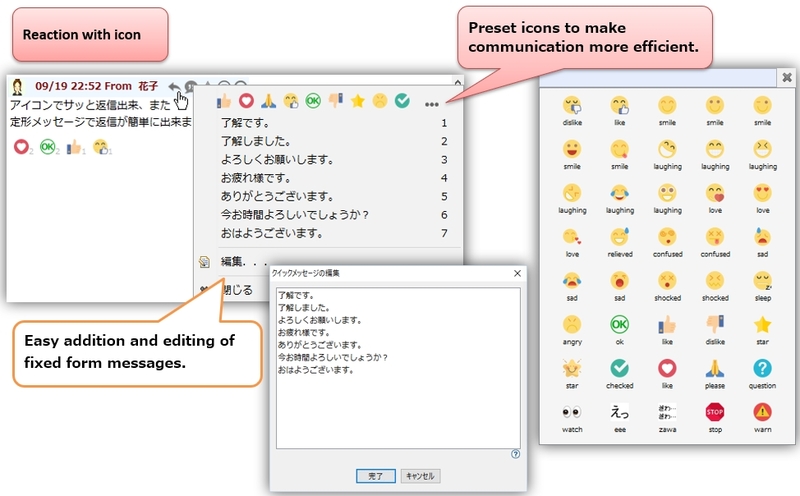 Screen capture, paint function on images can also be used. It is possible to search arbitrary text instantaneously from your past log with 1 million rows. 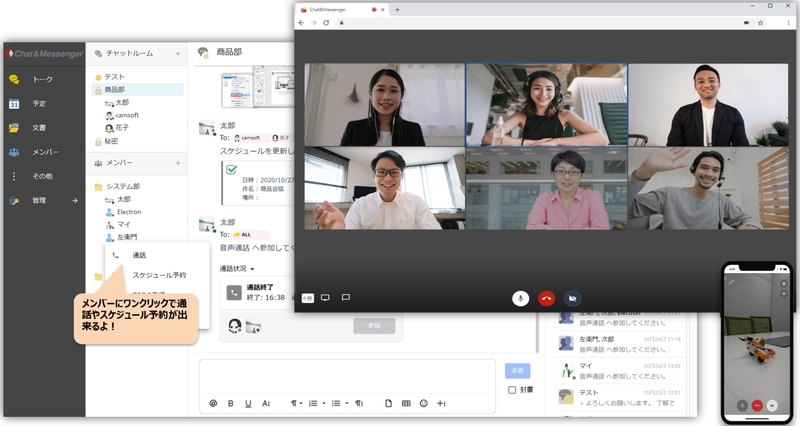 Video conference with one click! 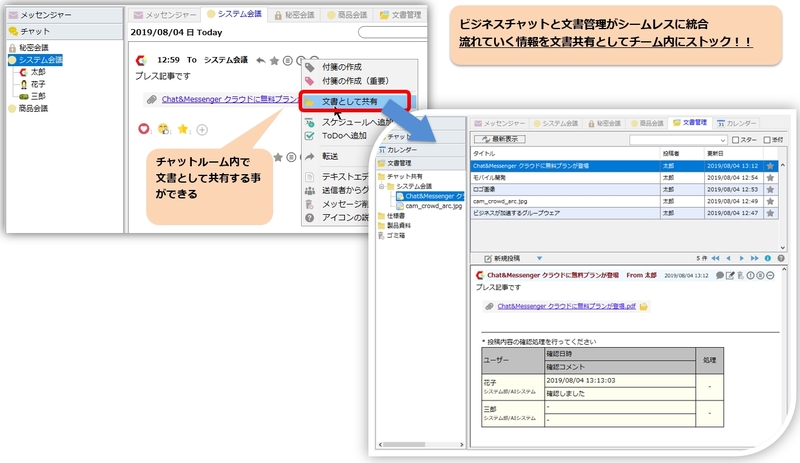 Since Chat&Messenger automatically recognizes client users, there is no need for management trouble even when personnel change, seating change, joining your company. 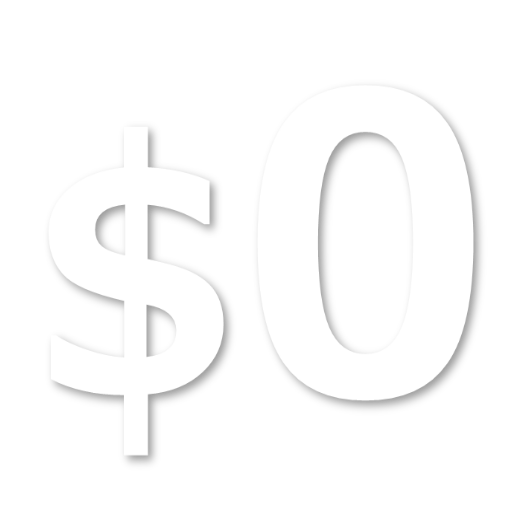 Send desktop screen in real time during voice calling possible. 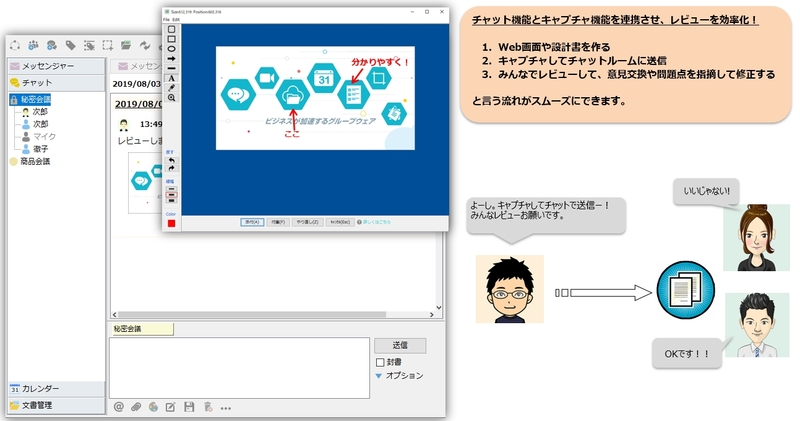 In the multi-screen environment, you can specify the screen to be shared, also operate the remote screen with Remote Assistant. Using smartphone cameras, you can talk while projecting external images such as construction sites and warehouses. A high-function document / file sharing system allows you to share in-house knowledge documents. 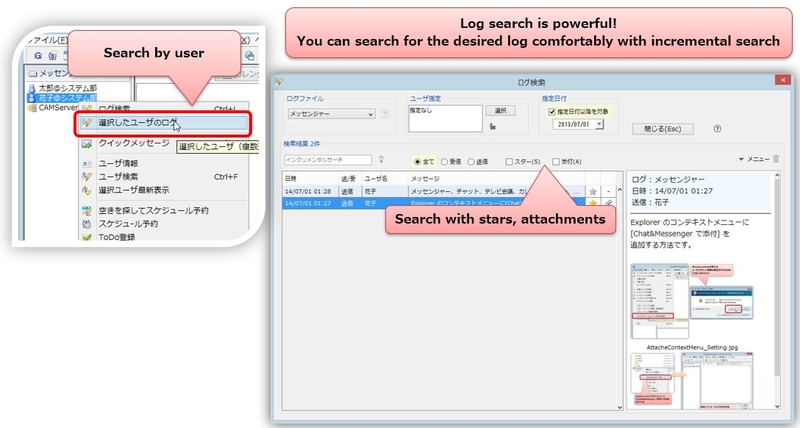 It can search fast and lightly with incremental search. 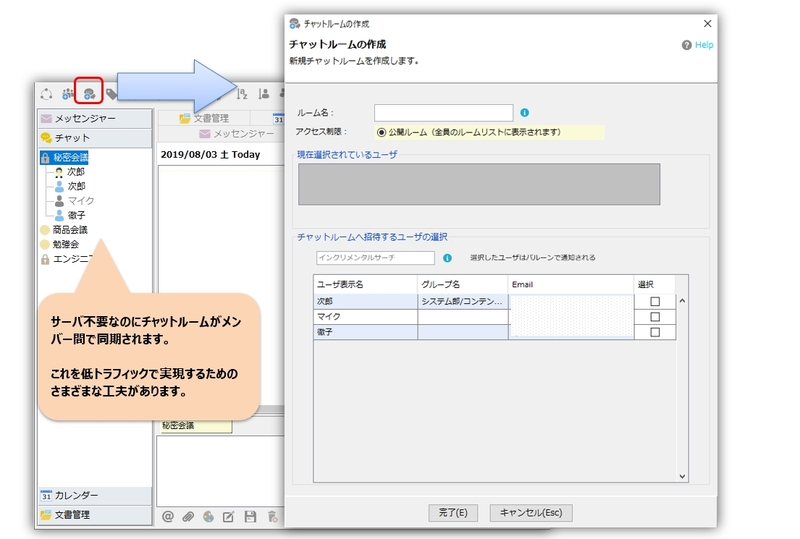 If you can not find the target document immediately, there is no meaning that the document is shared. You can create new posted documents from templates or copy from posted documents . 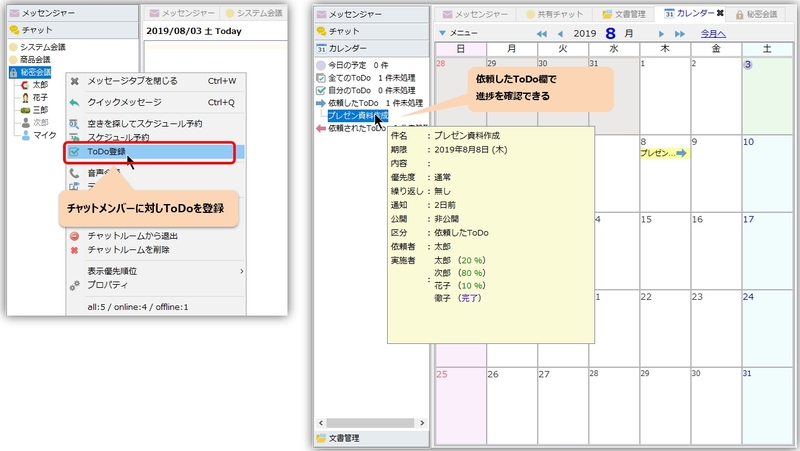 It is possible to schedule and TODO registration quickly from the received. You can browse members' public schedule and schedule appointments in empty hours. ToDo request to members quickly and manage the progress. By using the Chat&Messenger cloud service, users can be automatically recognized on an email domain basis. Also synchronize with your mobile device (Android / iOS). 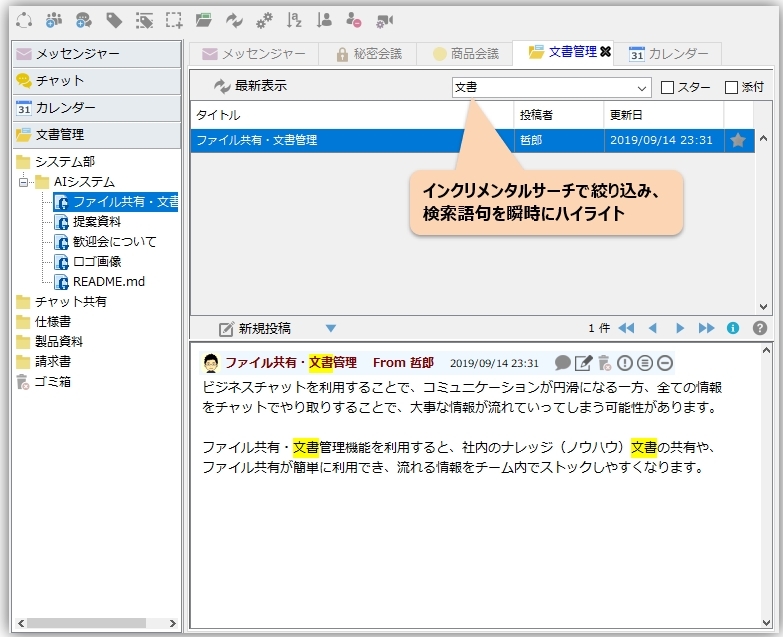 By arranging CAMServer with management function on a vacant PC, it is possible to construct full-fledged groupware securely within the company intranet. CAMServer is installed in the same sense as Chat&Messenger, it is characterized by designing it so that 100 - 200 users can handle it sufficiently. You do not need any IT skills (Web server, DB server etc) required for server construction. 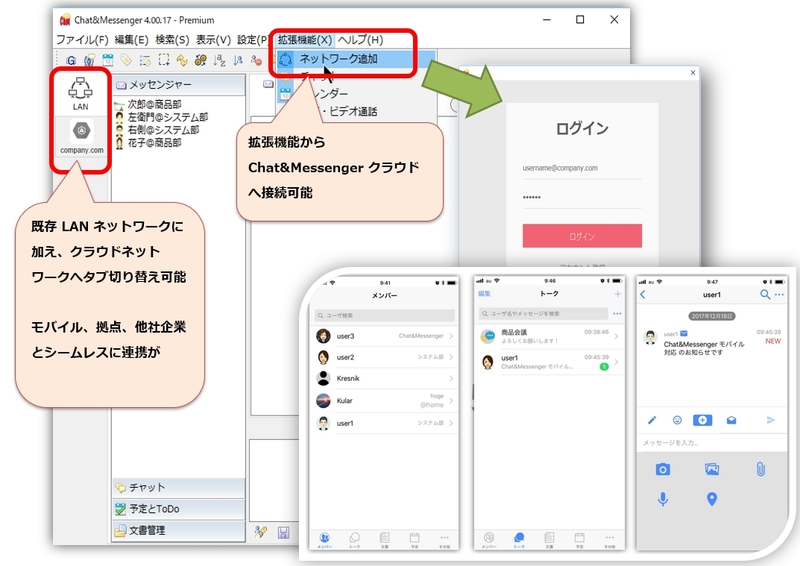 (C) 2019 Chat&Messenger Free Groupware. All rights reserved.